When you think of a trip to the UK, the chances are that you think of England’s capital city, London, the wild beauty of the Scottish Highlands or attractions that have stood the test of time like Stonehenge, Snowdonia and the Giant’s Causeway in Northern Ireland. However, how often do you consider attractions in the Midlands? Although it is often overlooked, the Midlands is actually an attractive, desirable place to visit. With a wide range of attractions and sights to see, there’s plenty to keep tourists busy! The birthplace of world-famous playwright William Shakespeare, Stratford-upon-Avon is an historic Warwickshire town with a rich heritage and strong cultural history. Don’t miss a visit to Shakespeare’s birthplace in Henley Street – the period furnishings and striking timbered architecture are sure to impress! Perhaps most well-known for the legend of infamous outlaw Robin Hood, Nottingham is a definite must-visit. Due to its handy central location, the city is well served by good transport links, including road and rail, so travelling by public transport is easily doable. Book yourself some city centre accommodation, or alternatively, rest off the beaten track at the Best Western Nottingham Derby hotel. Warwick Castle is arguably one of the most iconic Medieval buildings in the country. Providing an impressively imposing façade, it isn’t hard to see why the castle remains so popular. 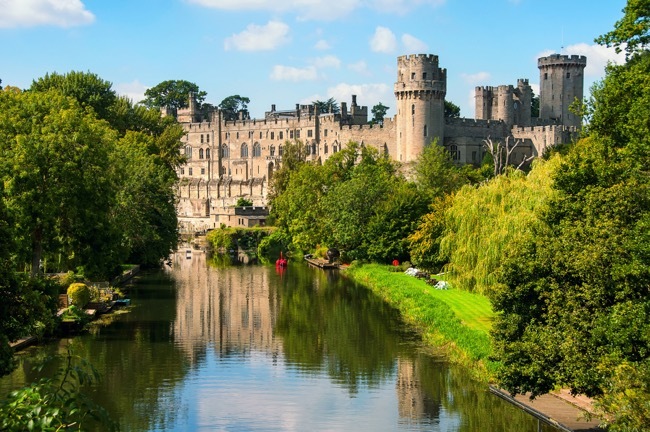 The original castle on the site was first built in 1068 by William the Conqueror, and to this day, tourists and visitors alike continue to be astounded by Warwick Castle’s grandeur. An extravagant example of 17-century architecture, Blenheim Palace is an awe-inspiring stately home situated in Oxfordshire. A fine Baroque house, the Palace was home to the Churchill family for many generations before opening its doors and welcoming visitors in the 1950s. Don’t miss out on a chance to visit the formal gardens – designed by Capability Brown, they really are well worth a visit. Don’t forget your camera! If thrill-seeking and adventure is more your scene, don’t miss a trip to Alton Towers theme park. This popular attraction is one of the biggest theme parks in the UK and is jam-packed full of rides and rollercoasters that will get the blood pumping and the adrenaline flowing! A sure-fire hit with children, adults and teens alike, there is bound to be something for everyone at this family-friendly resort. The perfect destination for literature lovers and bookworms, Bodleian Library is the University of Oxford’s main research library and is also one of the oldest libraries in the whole of Europe. Established in 1602, the library contains over 11 million books and is an outstanding example of English Gothic architecture. Tours through a chocolate factory – doesn’t it just sound delightful? Learn all about the history of Cadbury and check out the interactive displays and exhibitions on offer. With plenty of tasty treats to sample, this is a day out that the whole family are bound to love! Fancy getting a bit more active? Take a trip out and plan a walk along the picturesque Thames Path or alternatively, go for a cycle ride along the trail. At an impressive 184 miles long, the trail runs from Gloucestershire to the Thames Barrier in London and is perfect for those who enjoy a more active lifestyle. 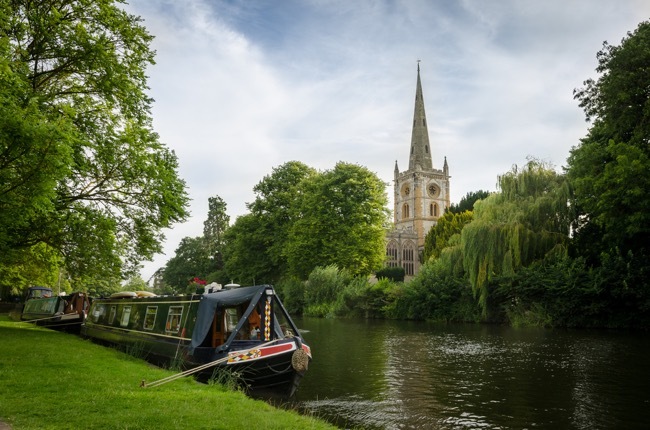 Whether you are booking your next summer holiday or planning a few days away, why not give the usual UK tourist hotspots a miss and instead, take a trip to the Midlands and explore some of the hidden delights that this wonderful part of the country has to offer.